CMDO head office is located at Peshawar whereas its regional office is located Islamabad. CMDO has field offices in seven (07) tribal agencies of FATA and eleven (11) districts of Khyber Pakhtoonkhwa (KP). The field offices are located in the following agencies of FATA and districts of Khyber Pakhtunkhwa Province. 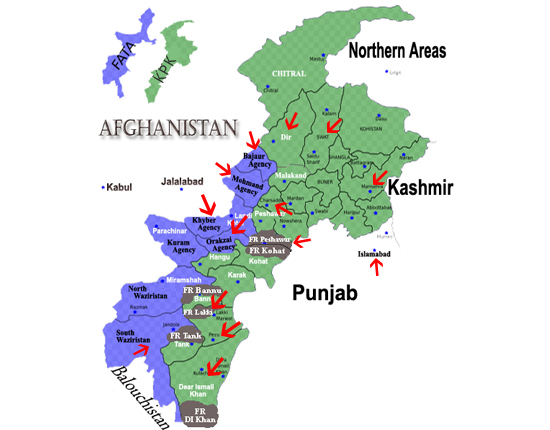 Khyber Pakhtoonkhwa: Peshawar, Charsada, Nowshera, Swat, Dir, Karak, Bannu, D.I.Khan Lakki Marwat, Tank, Mansehra.